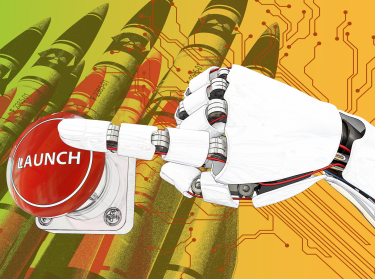 A new RAND Corporation paper finds that artificial intelligence has the potential to upend the foundations of nuclear deterrence by the year 2040. While AI-controlled doomsday machines are considered unlikely, the hazards of artificial intelligence for nuclear security lie instead in its potential to encourage humans to take potentially apocalyptic risks, according to the paper. During the Cold War, the condition of mutual assured destruction maintained an uneasy peace between the superpowers by ensuring that any attack would be met by a devastating retaliation. Mutual assured destruction thereby encouraged strategic stability by reducing the incentives for either country to take actions that might escalate into a nuclear war. The new RAND paper says that in coming decades, artificial intelligence has the potential to erode the condition of mutual assured destruction and undermine strategic stability. Improved sensor technologies could introduce the possibility that retaliatory forces such as submarine and mobile missiles could be targeted and destroyed. Nations may be tempted to pursue first-strike capabilities as a means of gaining bargaining leverage over their rivals even if they have no intention of carrying out an attack, researchers say. This undermines strategic stability because even if the state possessing these capabilities has no intention of using them, the adversary cannot be sure of that. He said one example of such work was the Survivable Adaptive Planning Experiment in the 1980s that sought to use AI to translate reconnaissance data into nuclear targeting plans. Under fortuitous circumstances, artificial intelligence also could enhance strategic stability by improving accuracy in intelligence collection and analysis, according to the paper. While AI might increase the vulnerability of second-strike forces, improved analytics for monitoring and interpreting adversary actions could reduce miscalculation or misinterpretation that could lead to unintended escalation. Researchers say that given future improvements, it is possible that eventually AI systems will develop capabilities that, while fallible, would be less error-prone than their human alternatives and therefore be stabilizing in the long term. RAND researchers based their paper on information collected during a series of workshops with experts in nuclear issues, government branches, AI research, AI policy and national security. “How Might Artificial Intelligence Affect the Risk of Nuclear War?” is available at www.rand.org. 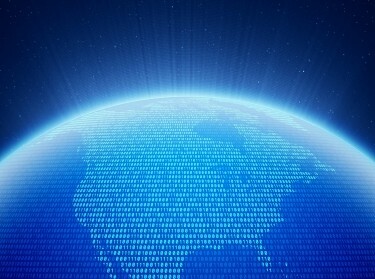 The paper is part of a broader effort to envision critical security challenges in the world of 2040, considering the effects of political, technological, social, and demographic trends that will shape those security challenges in the coming decades. Funding for the Security 2040 initiative was provided by gifts from RAND supporters and income from operations. The research was conducted within the RAND Center for Global Risk and Security, which works across the RAND Corporation to develop multi-disciplinary research and policy analysis dealing with systemic risks to global security. The center draws on RAND's expertise to complement and expand RAND research in many fields, including security, economics, health, and technology. How Might Artificial Intelligence Affect the Risk of Nuclear War?